Ocala, Florida — On Wednesday, Ocala Police Department Detective Mary Brewton arrested the mother of the 20-month-old child who drowned in a small above ground pool on April 25, 2015. According to detectives, the pool contained approximately 30 inches of water. On April 25, 2015, Ocala Police responded to 244 Northeast 44th Avenue, in reference to a child who was found floating in a pool. According to reports, Dyal put the boys back in their room, gave them each a cup of juice, and turned the television on. Dyal stated that she then went back to bed and fell asleep, and assumed the boys would do the same. According to police, at approximately 8:40 a.m. Dyal was awakened by her 2-year-old yelling, “Mommy! Mommy!” from the backyard. Dyal stated that she then ran outside and saw her 20-month-old son, Manuel Wilfredo Mercado Jr., floating on his side with his face down in the water. Dyal told police she then removed her son from the water, began chest compressions, and had her 13-year-old daughter call 911. According to reports, the 13-year-old was on her cell phone in her bedroom at the time of the incident. She said she didn’t know the boys had gone into the backyard until she heard her mother screaming. She said that when she ran outside, she saw her brother on the ground with green foam coming from his nose. Dyal’s other daughter, 10, stated that she was asleep on the couch and woke up when she heard her mother screaming from outside. She said that when she went outside, she saw her mother performing CPR on her brother. The 10-year-old told police that she did not hear her brothers walk past her to get outside. Police reported that there was a blue Summer Escapes 15-foot quick set above ground ring pool in the southwest corner of the yard. The pool had 30-inches of water in it. Police also found a green milk crate behind the pool. The boy’s father, Manuel Wilfredo Mercado Sr., 24, was at work at the time of the incident. In the police report, OPD Officer Russell reported that the door located in the northwest corner of the residence, which led to the backyard, was open. Officer Russell also reported that the latch on the door was broken and did not secure the door. According to reports, in order for the deadbolt to be locked, the door needed to be lifted up on the hinges so the deadbolt would turn. Authorities said the house was un-kept, there was no food in the house, and the cabinets were infested with roaches. According to reports, there was also a hoarding issue in the home. During the investigation, the Department of Children and Families told police that the siblings of Manuel Jr. had previously been removed from the home. Detectives also discovered that both Brandi and Manuel Sr. had a drug problem and had tested positive for opiates and marijuana when ordered by DCF. On May 5, after multiple attempts, detectives were finally successful in making contact with Brandi for an interview. On May 6, Brandi responded to the OPD and participated in a recorded interview. During the interview, Brandi said her alarm clock “went off” at approximately 6:30 a.m., at which time Manuel Sr. left for work. She said she then changed her children’s diapers, gave them juice, and went back to bed. Brandi said the next time she could recall waking up was when she was being called into the backyard. When asked about the opiates and marijuana, she said the opiates were prescribed to her by Dr. Jackson from Belleview Express Care. She also admitted to smoking marijuana while taking the opiates. On May 13, also after numerous attempts, detectives conducted an interview with Manuel Sr. He told detectives that on the morning of the incident, he left for work at 7 a.m. He said the children usually slept until 11 a.m., but for some reason, the kids got up early on that day. Manuel stated, “Brandi is a good mother and she takes good care of her kids.” He said when the smaller children go outside, either Brandi or the older kids watch them. Manuel also told detectives that he didn’t check the doors when he left for work. On July 15, DCF called Detective Brewton and dropped a bombshell. According to reports, Brandi had told her children to lie about the incident. One of the older juveniles told Kimberly’s Cottage that she had not told the truth on the day of the incident. The juvenile stated that her mother told her to tell investigators that she was asleep when the drowning occurred. 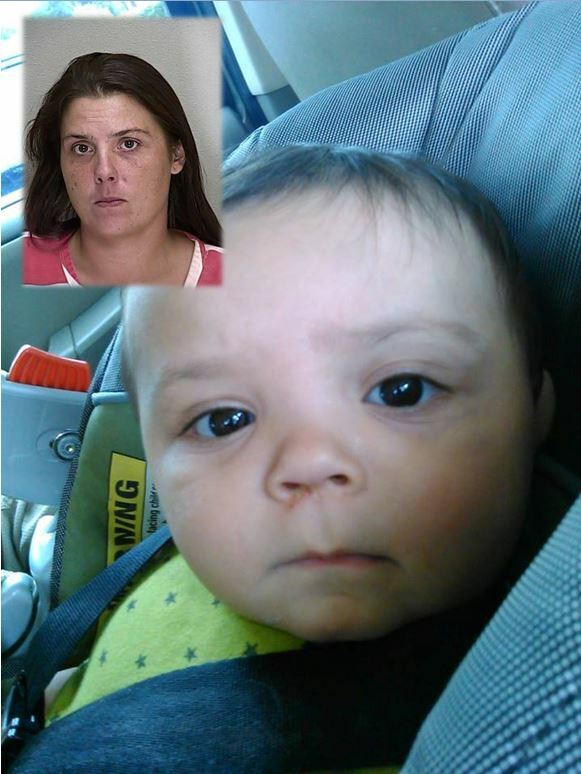 The mother also told the juvenile not to say anything about her drug habits. However, the juvenile said that on the night before Manuel Jr. drowned, her mother was up all night with friends snorting heroin. The juvenile also witnessed her mother chop up pills and snort them. At the same time, Brandi was smoking marijuana and drinking beer. According to reports, the juvenile stated that on the morning of the incident she heard Manuel Sr. tell Brandi to get up and watch the boys. The juvenile said she then put her headphones on and listened to music. On the day of the incident, Mercado Jr. was transported by EMS to Munroe Regional Center, but later flown to UF Health Shands Hospital, Gainesville. According to police, Mercado Jr. died at 9:42 a.m. Sunday, April 27, 2015. Detectives said that one of the most disgusting facts in this case was that on the day Manuel Jr. was taken off life support, both Manuel Sr. and Brandi were outside laughing. Detectives said due to the facts in this case, Brandi was arrested and charged with Manslaughter. Manuel Sr., who is also no stranger to jail, has not been charged with any crimes.